This program is open to any child who would like a patient, attentive friend to read to. 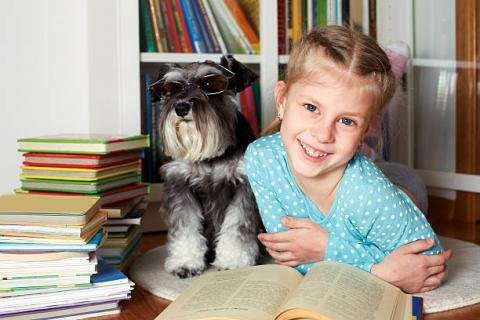 Our R.E.A.D to a Dog program provides an opportunity for your child to read to registered therapy dogs in a relaxed atmosphere. The dogs sit calmly and quietly for a story so that young readers can practice reading out loud without fear of judgement. It's a great way for children to gain confidence in their reading. *Trained and Registered dogs are provided by Mo/Kan Pet Partners' R.E.A.D. Call or visit the Main Branch, (913)295-8250 for more information.